If you ever need help finding Equatorial Guinea on a map, first, get your reading glasses, it's possible that this tiny country has simply evaded your eyes due to its pint-sized area. Then remember that the equator really does pass right through Equatorial Guinea and scan along the middle of the globe. Travelers are lured to Equatorial Guinea by the dense, rugged jungles and inland rainforest or by the beautiful beaches on the coast. 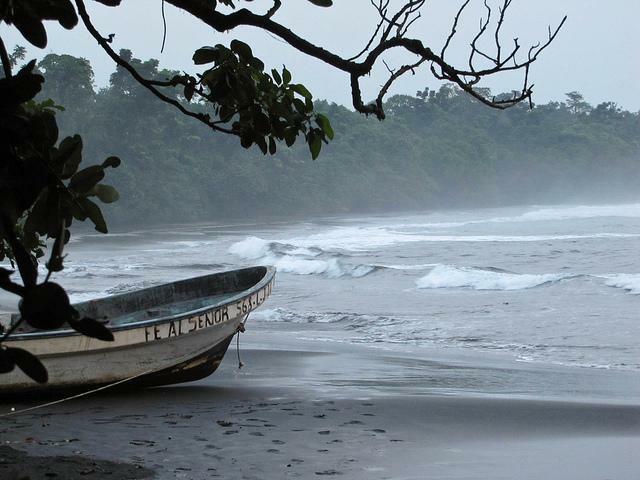 Unfortunately, Equatorial Guinea has little else to offer travelers who come inside its tiny borders. Your options are really limited to the beach or the jungle here. Luckily, both of these options are world class, unspoiled and undeveloped attractions that have not been converted to tourist friendly shams of the jungle or beach like you'll find elsewhere in the world. Read: Top 10 Toughest Countries to Get Into. Only a few airlines fly to Equatorial Guinea. Flights land at Malabo airport, one of two paved landing strips in the country. You can find flights to Malabo out of Madrid or Zurich. Most of Equatorial Guinea's cities are on islands, so flights and boats are the only way into the settled parts of the country. Read: Money Maneuvers in West Africa. Your options are pretty limited in Equatorial Guinea. There are some tours or safaris operating in the region, and there are a few hotels in the cities, but you will be hard pressed to find budget accommodations. For more info on Equatorial Guinea, check out the message boards, where you can peruse other's questions and find answers to things you didn't even think to ask.